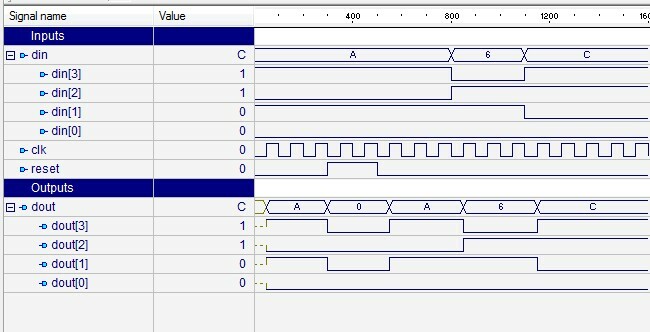 Design of Parallel IN - Parallel OUT Shift Register using D-Flip Flop (VHDL Code). Hey, thank you for the codes. I think that you should not include din in the sensitivity list of the process, otherwise the synthesizer could understand that you want a latch. The process should only activate when there is a change in clk or reset. Cheers!